In today's housing market, a home inspection can wake up buyers to what "as is" really is and give them a negotiating edge that could lead to cash or repair concessions. For sellers, a home inspection serves as an anti-haggling tool and keeps the dickering down to a roar. An inspection is also for new homes, given new home defects aren't just incidental. It's also a good tool to use to assess a home's integrity after a natural disaster, including flooding, an earthquake, a wind or rain storm. Finally, a home inspection by home owners who aren't listing their home for sale can let them know every few years what maintenance or upgrades they need to perform. Studies have exposed newly built single family homes with construction problems related to the building envelope; framing and structural elements and in the plumbing and electrical systems. As homes age, given the life expectancy of certain systems, the home inspection grows in importance. Within 10 years, foundation settling could create drainage problems; by the age of 20, appliances are well outdated and the roof and wood components exposed to weather and moisture could need replacing; at 30 years the HVAC system will likely need replacement. Older historical or architectural significant homes can develop structural problems and need restoration. Safety hazards that crop up in older homes include old sliding glass windows that are not tempered safety glass, missing smoke alarms, and missing pressure relief valves on water heaters or boilers. At Precision Home Inspection of America there is no such thing as a home that is too new or too well built to benefit from a professional inspection by us. Anyone advising against an inspection is doing a disservice to the home buyer. Many problems frequently encountered after the buyer moves in, are a routine discovery for Precision Home Inspection of America. After the inspection, you will have a much clearer understanding of the property you are about to purchase and be able to make your decision confidently. As a seller, if you have owned your property for a period of time, a pre-listing inspection can help identify potential problems and recommend preventive measures, which might avoid future expensive repairs or a sale to be canceled. It is not required for you to be present, but we highly encourage all our clients to accompany us during the inspection to see the property first-hand through our eyes. By following us through the inspection, observing and asking questions, you will learn about the property and get some tips on general maintenance. If you're not able to attend the full inspection, possibly you can attend at the end, so together we can go on a detailed walk through to review our findings. The inspection time from start to finish is generally one to three hours. IS THE SELLER REQUIRED TO "REPAIR EVERYTHING" WRONG WITH THE HOUSE? No, sellers are not obligated to repair conditions noted in our report, nor are they required to produce a flawless house. With a home inspection, potential repair items already known by both parties are subject to any negotiations. A home seller can make repairs as matter of choice, not obligation; to foster good will or to facilitate the sale. Sellers maintain the legal right to refuse repair demands, except where requirements are set forth by state law, local ordinance, or real estate purchase contract. CAN A HOUSE "FAIL" A HOME INSPECTION? No, our home inspection is an examination of the current condition of your prospective home. It is not an appraisal, which determines market value, or a municipal inspection, which verifies local code compliance. We will not "pass" or "fail" a house, but will accurately describe its current physical condition and recommend needed repairs or replacement. Our inspection fees for a typical one-family house varies depending upon the size of the house, particular features, its age, etc., and what inspection package you choose. SHOULD COST BE A MAJOR FACTOR? The cost should not be a factor in the decision whether or not to have a home inspection, or in the selection of your inspector. Compared to the price of the property, the inspection cost is very small. You might save many times the cost of the inspection because you now can make an educated decision and the lowest-priced inspector is not necessarily a bargain. The inspector's qualifications, including his/her experience, training and professional affiliations, should be the most important consideration. THE HOUSE IS BRAND NEW...WHAT COULD BE WRONG? Precision Home Inspection of America feels it is smart to inspect a newly constructed house, regardless of how conscientious and reputable your home builder. No home, regardless of how well it is constructed, is totally free of defects. The construction of a house involves thousands of details, performed at the hands of many individuals. No general contractor can possibly oversee every one of these elements and the very nature of human fallibility dictates that some mistakes and oversights will occur, even when the most talented and best-intention-ed trade's people are involved. It is also an unfortunate aspect of modern times that some builders/developers do not stand behind their workmanship and may not return to fix or replace defective components installed after the sale is complete. CAN'T I DO THE HOME INSPECTION MYSELF? Don't be offended but normally even the most experienced homeowner lacks the knowledge and expertise of experienced inspectors. Above all, most buyers find it very difficult to remain completely objective and unemotional about the house they really want and this may affect their judgment. It is best to obtain an impartial and unbiased opinion who has nothing to lose or gain by the house being sold. 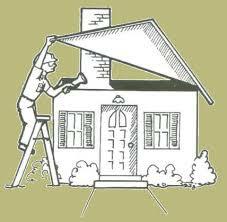 Our thorough inspection includes a visual examination of the property from roof to foundation. We evaluate and report the condition of the structure, roof, foundation, drainage, plumbing, heating system, central air-conditioning system, visible insulation, walls, windows and doors. Only those items that are visible and accessible are included in our report. IS YOUR HOME INSPECTION A CODE COMPLIANCE INSPECTION? No, a professional inspection is simply an examination of the building’s current condition. It is not an appraisal or a Municipal Code Inspection. There are few properties that are in perfect condition. We identify problems with the property, it does not necessarily mean as the buyer you shouldn’t buy it; only that you will know in advance what type of repairs to anticipate. A seller may adjust the purchase price or contract terms if major problems are identified. If you do not wish to become involved in future repair work, you may decide that this is not the property for you. WHEN DO I REQUEST PRECISION HOME INSPECTION OF AMERICA SERVICES? IF THE INSPECTION REPORT REVEALS MINOR ISSUES, DID I REALLY NEED A HOME INSPECTION? Definitely. You can now complete your purchase confident that you are making a well-informed decision with a clearer understanding of your properties overall condition. Also our inspection report, you will gain knowledge of the structural components and operating systems of your property that you will want to keep for future reference. As the seller, you can feel confident in that you have provided full disclosure. WHO IS THE CHEAPEST? EVERY INSPECTOR LOOKS AT THE SAME THINGS? Not a chance! Every inspector is different and comes with varying degrees of education, experience and tools. You may save a small amount of money by choosing a cheaper inspector and he could miss thousands of dollars or more in problems! Usually, the best inspectors are not the cheapest. Do you really think that someone who shows up with only a screwdriver and a flashlight will do a good job? If you want to save money, possibly thousands, then don't choose the cheapest inspector. Hiring Precision Home Inspection of America is the smart choice.